Another image of the March 27th 2008 sun halo this time taken within a field near the Coleraine road. 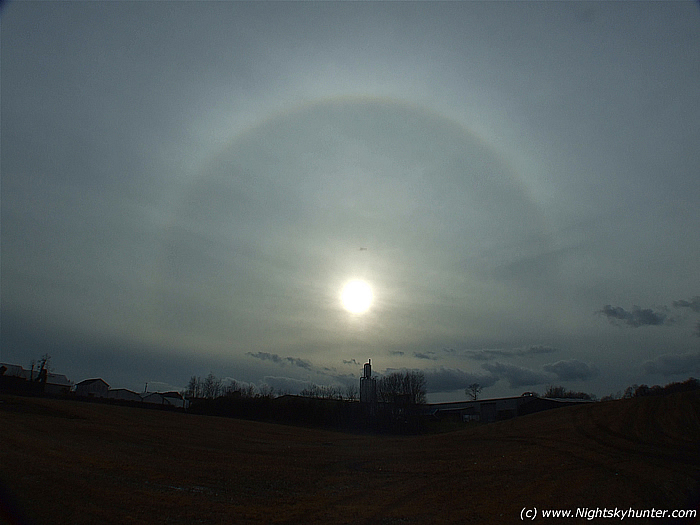 I particularly like this image showing the halo surrounding the lowering early Spring Sun. Nice colours in the field also. The tower belongs to Specialist Joinery Fittings. Slight curvature of the lens on each side however the dip in the field is real.